If you've lifted your rig, you need to lengthen your brake lines (so they don't start acting like limiting straps). 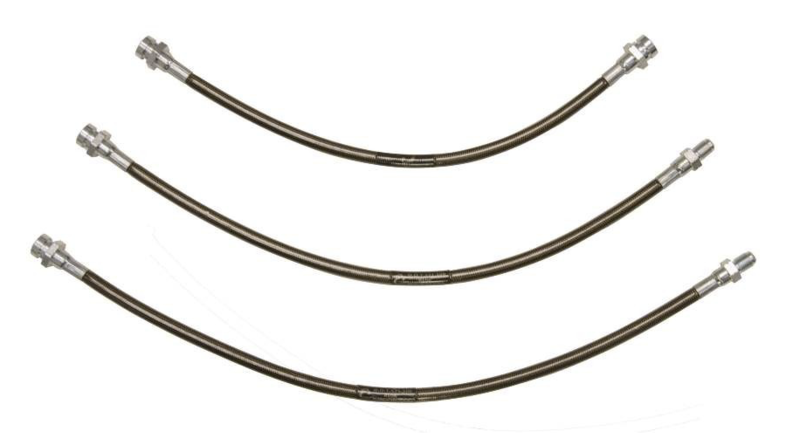 These braided stainless lines from ICON will give you years of reliable performance. Kit includes 1 line for the rear and 2 for the front, everything you need to keep your brakes solid.